2016 really did a real weird number on us, didn’t it? 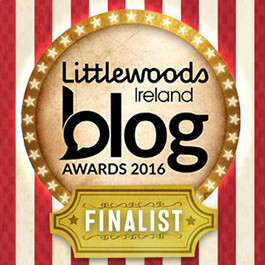 Wham is on autoplay on Youtube as I’m writing this and it’s a bit heavy-hearted that I’m looking back on the year that has been. 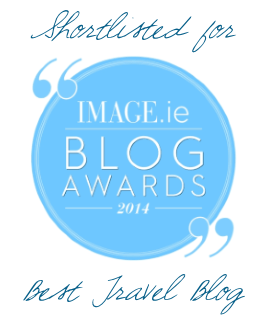 Focussing on the travel part, I think this was a good one for me though. I visited Germany for the first time, finally reconnected with my roots in Morocco, did my annual trips to Brussels and London and went back for the second consecutive year to Spain and Gibraltar. 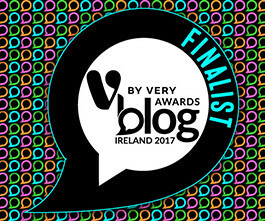 My only regret is once again, I didn’t set on exploring Ireland beyond Dublin and county Wicklow. I badly need to rectify this in 2017. 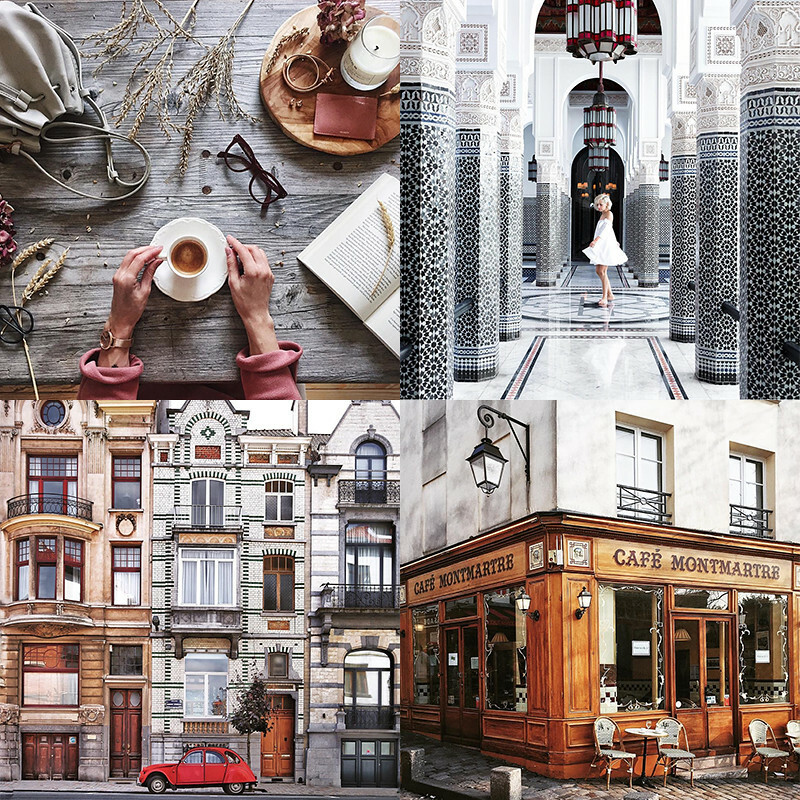 For 2015’s recap, I compiled the best places I visited but this year, I want to do something a bit different and reminisce the moments that took my breath away while travelling. I think you know the ones I mean, those that make you want to pinch yourself, quit your day job and be a constant joe-on-the-road. So here come my five favourite ones. During that trip to Berlin in January, I took a train to Potsdam to visit the Sanssouci Palace. You know my love for rococo and baroque so it was a real treat to see with my own eyes the crazy Summer home of Frederick the Great. I gasped at many gold features and chandeliers but upon entering the room he had specifically designed for his friend and mentor Voltaire, I basically lost my sh**. The whole room is painted and furnished with the same striking marigold yellow throughout. 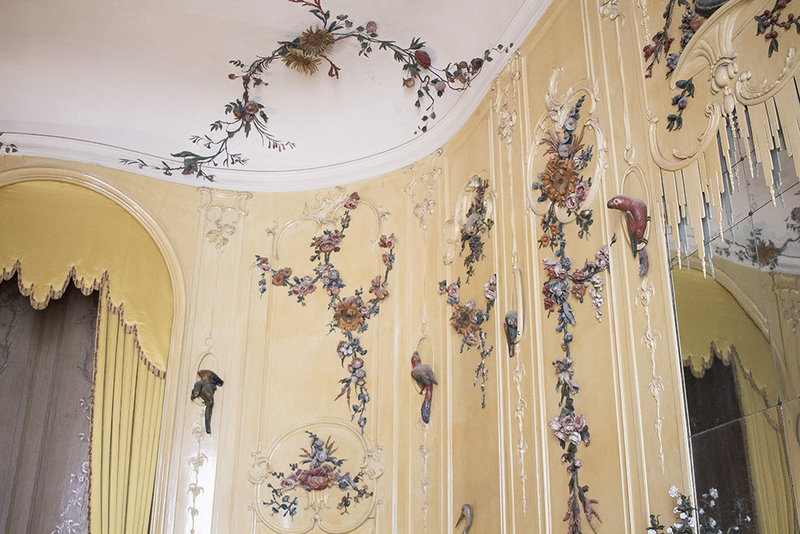 The wall panels are covered with wood carvings of flower arrangements and fruit garlands while exotic birds seem to be frozen in a playful banter. It was nothing like I had ever seen before. This Summer I made a last minute trip to Morocco to attend to some family matters. Unexpectedly, it turned into a magical tour of my great grand-father’s old stomping ground. 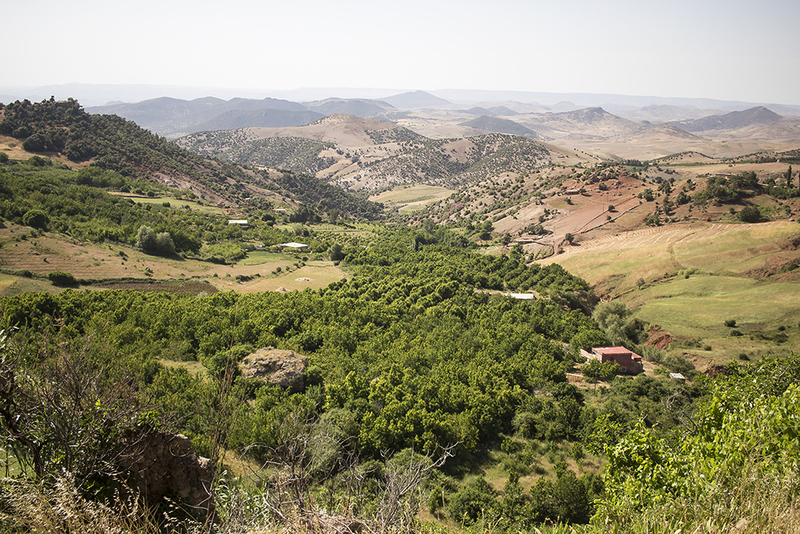 He owned quite a sizeable chunk of land in the Middle Atlas which holds so many dear memories to my family. It was amazing to hear everyone’s stories and anecdotes of growing up there. One day, we sneaked into the ruins of what was once my grand-mother’s childhood home. It stands on a cliff and if you go right up to the edge, you’re met with the most incredible view. Beneath our feet, a lush valley of cherry trees stretched for miles and miles. I’ll hold that sight with me forever. One thing I didn’t want to miss during my annual trip to London this Summer was the Yayoi Kusama exhibition at the Victoria Miro Gallery. I had seen her work displayed at the Tate before and I wanted to experience her universe once again. The exhibition was a bit more intimate this time but just as successful (hence the long-winding queues outside the door). The highlight of the exhibition was the room called ‘All the Eternal Love I have for the Pumpkins’. 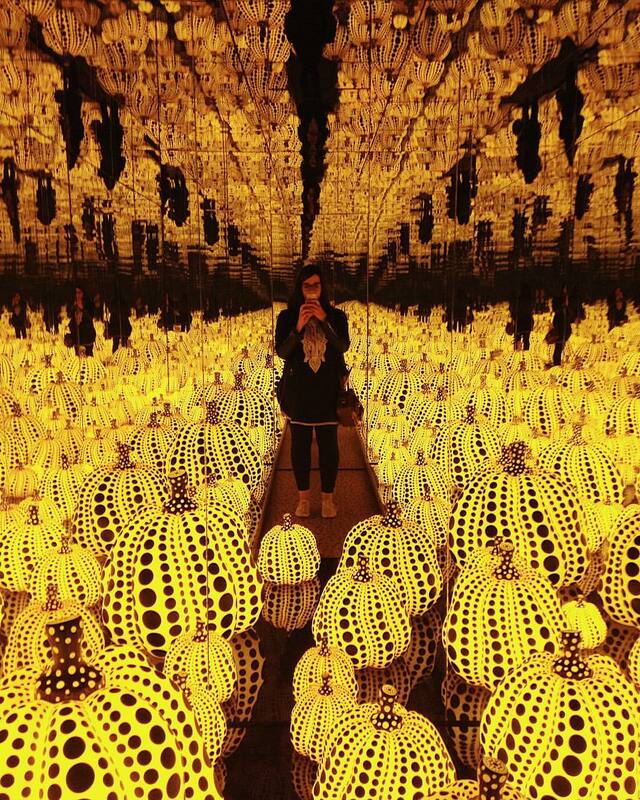 As soon as you step in the cubic room, the attendant closes the door behind you, and you have a whole minute to yourself surrounded by luminous pumpkins. What did I do in there, you may ask yourself? I took a selfie… Not sure it was the best use of my time but it certainly was one of the most memorable minutes of 2016. It was October and I was holding on to that Summer feeling in Gibraltar. That afternoon, I had set on exploring the East Side of the isthmus where the sandy beaches are. More specifically, Catalan Bay. 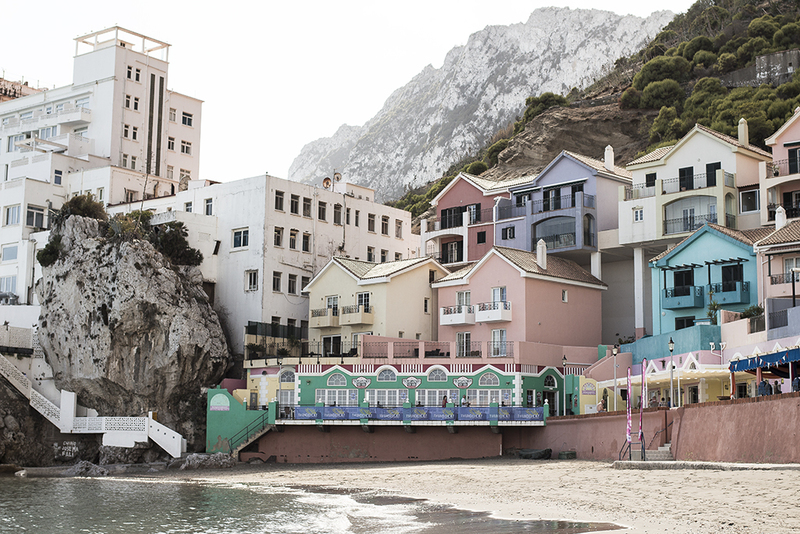 I was dying to see the famous candy-coloured houses stacked against the Rock. Even though it was well into Autumn, the temperatures were high in the twenties. I cursed for not wearing a swimsuit under my clothes but nevertheless, life was good, I had the beach practically all to myself. I sat there looking out to the horizon and from to time checking on my right if the thousand of seagulls behind the hotel were planning any attack, Hitchcock style. I seriously had never seen that many seagulls gathered in one spot! When it got too hot, I carried my espadrilles in one hand and wandered bare-foot in the village’s alleyways. It was the perfect afternoon! So that was my 2016 in a nutshell. Did you travel much this year? Tell me about your favourite memory on the road in the comment section! There’s no denying, Instagram has taken the front seat of many of my online habits. Especially when it comes to travel, whether it’s to actually plan an upcoming trip or armchair travelling, the app is always my first stop. Let me tell you, it was hard to narrow down this list to only 10 accounts. There are hundreds I follow who give me major wanderlust on an every day basis. 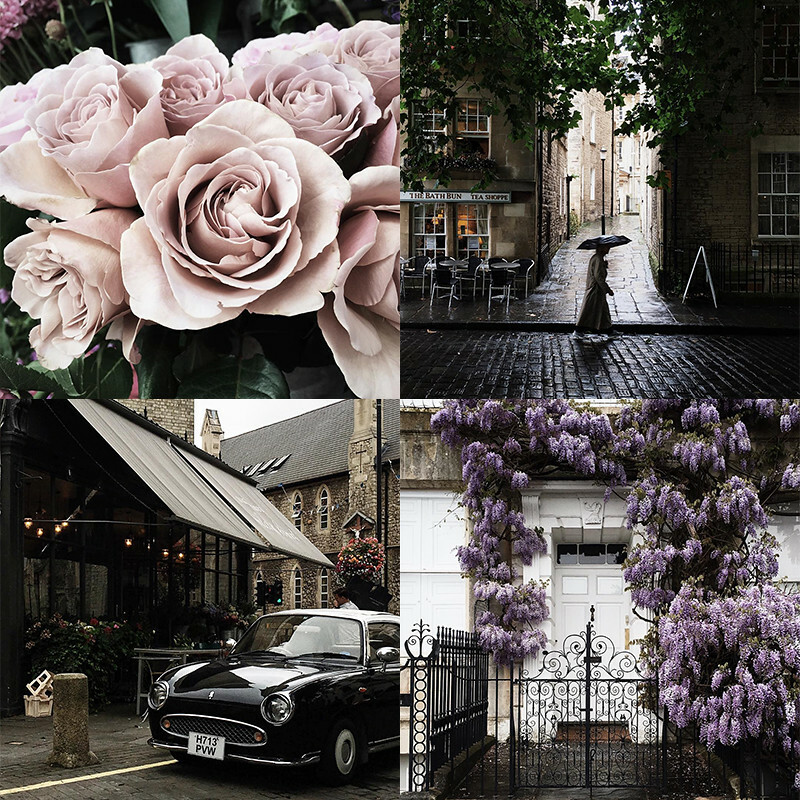 As you’ll see below, I have a soft spot for photographers who capture the pretty details of city life over epic wild landscape. 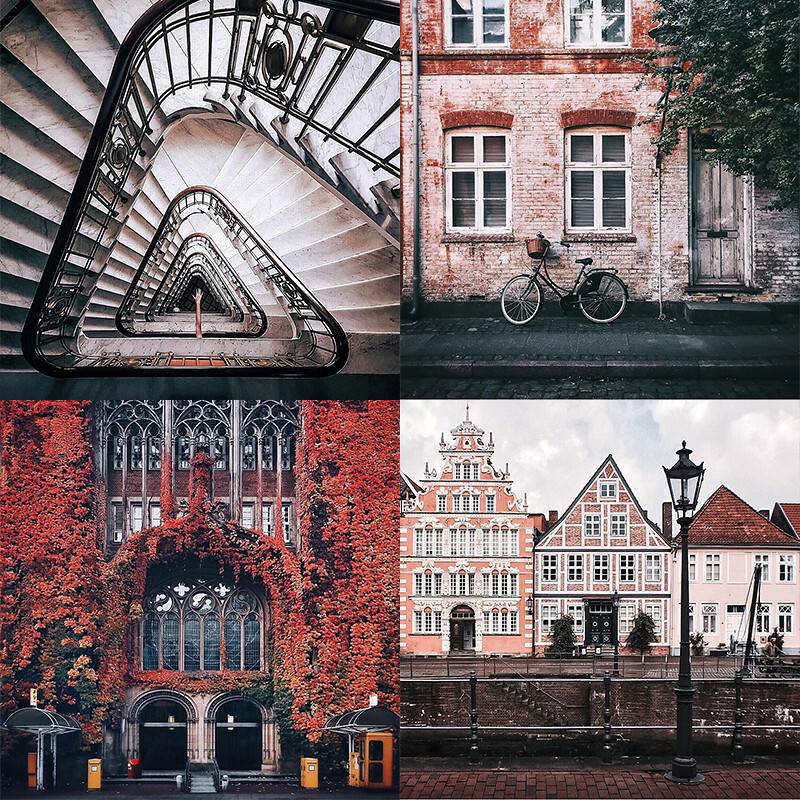 And as a general rule, I tend to prefer instagrammers who explore the nooks and crannies of their own turf rather than those living the nomadic lifestyle… But of course there are exceptions! But without further ado, here are the 10 accounts that make me want to pack up and go on a new adventure! Thomas is my current top Insta-crush, his shots often stop me in my track when I’m mindlessly scrolling my instagram feed. His tones are warm, crisp and a little spicy… a little like a gingerbread biscuit! He is based in Hamburg and he’s definitely put the German city on my radar. 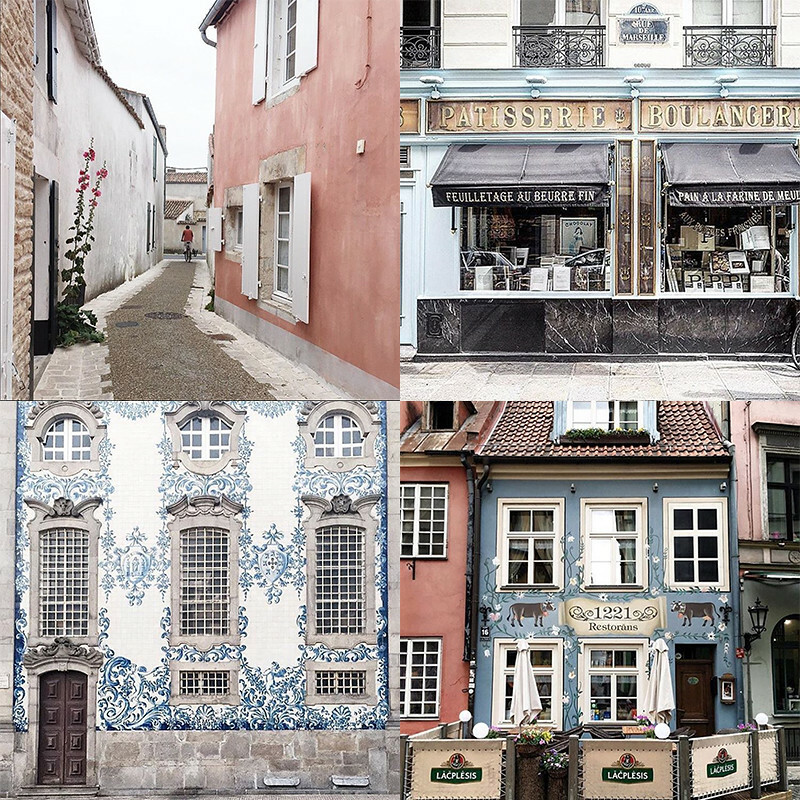 I now long to see the baroque facades and the winding alleyways with my own eyes. 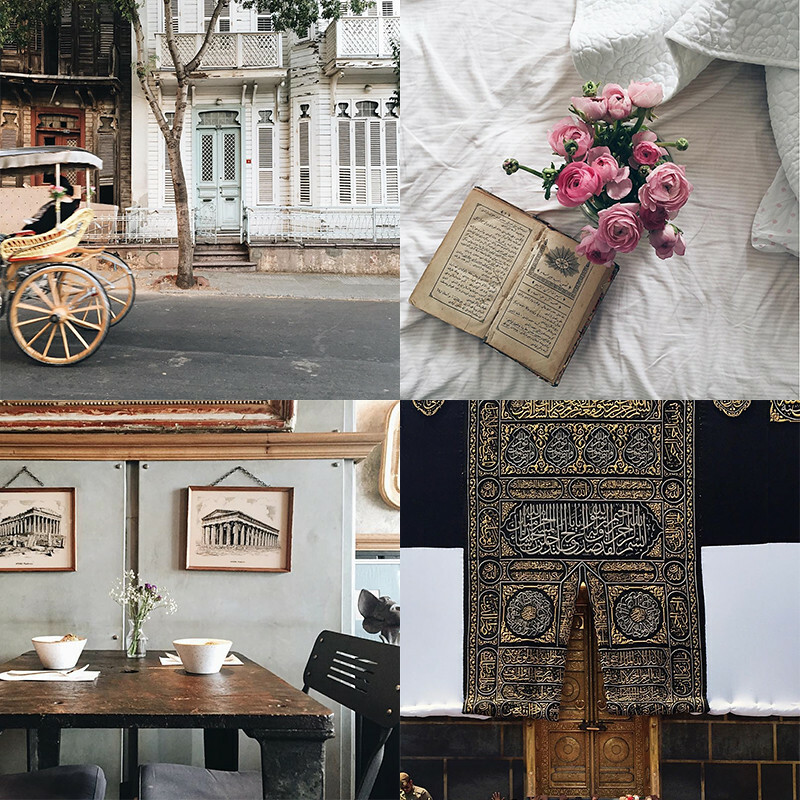 The pictures Sezgi shares on her feed are colourful poems, striking tributes to her city, Istanbul. 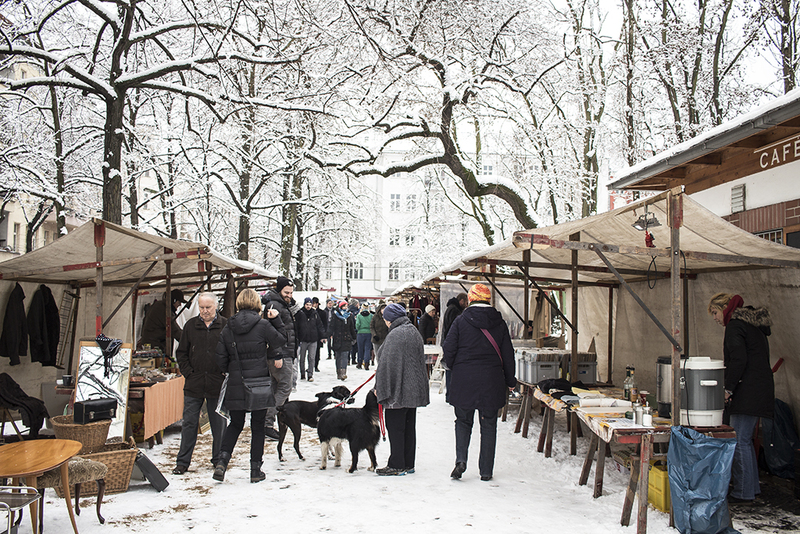 I especially love the old buildings she finds on her urban explorations and the way she captures the city under the snow. It is magic. She travels quite a bit too and I couldn’t recommend enough for you to check out her banging snaps of Cuba. Ouch. Lily Rose is one of these instagrammers that never seem to stand still. One day in the Maldives, the next in Morocco, she never fails to capture her surroundings in the most vibrant way. She also stages some killer flat lays! Wherever she goes, Emilie seems to always travel inside a perfect bubble of golden hour and bokeh. 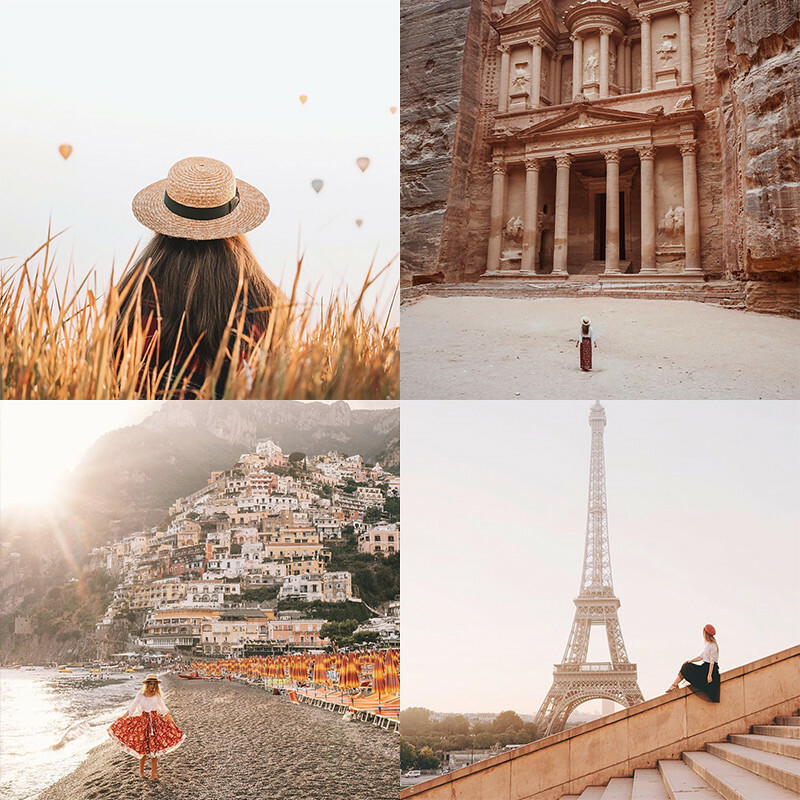 Her self-portraits where she gazes into breathtaking views while wearing a boater hat have become a bit of an Instagram institution. 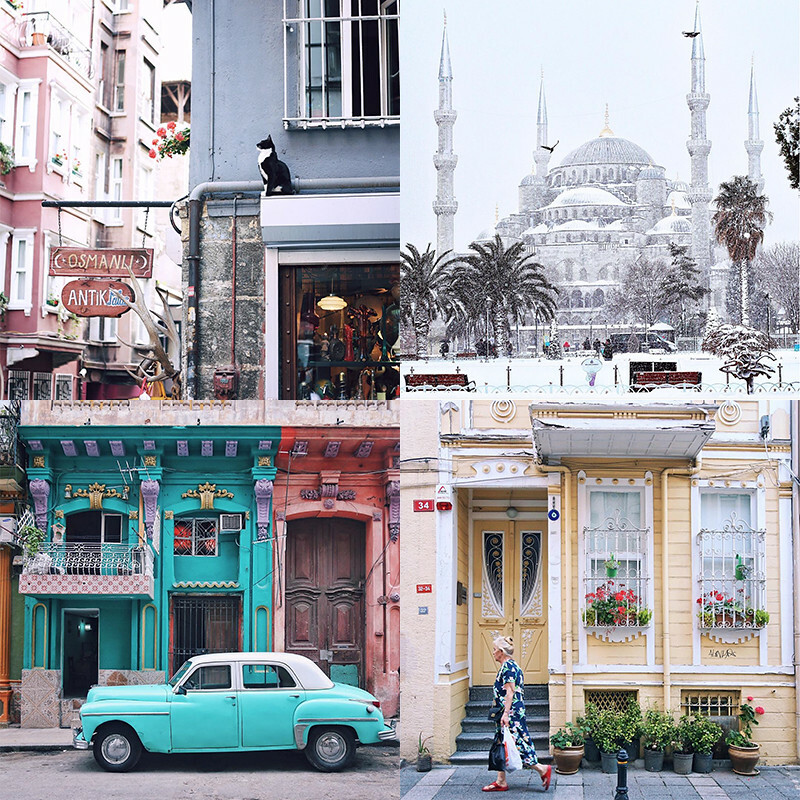 She embodies wanderlust to a T.
I simply adore the soft, feminine, muted-pastel-toned vignettes of Ravza’s life in Istanbul and elsewhere. 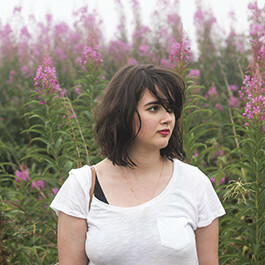 But recently she made my jaw drop to the floor when she documented her pilgrimage to Mecca. Her female photographer’s perspective on the experience is one rare precious gift. Adam’s pictures make my heart swell with nostalgia. 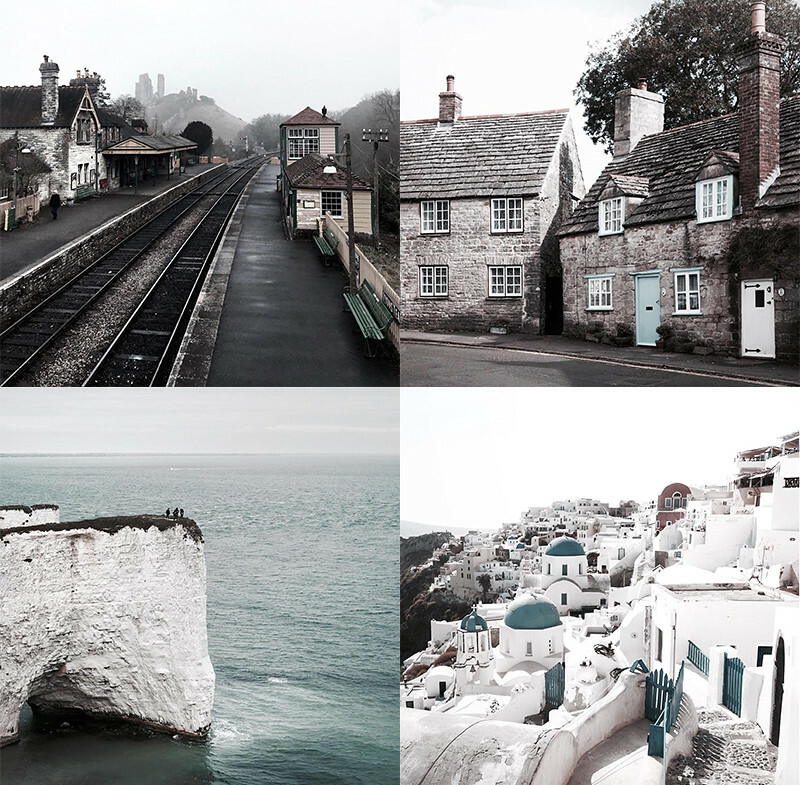 He specialises in photographing the South of England, more specifically the county of Dorset. I holidayed there when I was 15 and every time one of his blue-toned, tranquil pictures pops up on my feed, I wonder why I haven’t come back there yet. Whenever I feel uninspired by Instagram, a look through Robin’s profile is often all it takes to light my spark back. Not only does he finds the best facades in London but his angles make London even more cinematic, if that’s possible! I’m going to throw it out there, it might be a tad controversial, but I’m not the biggest fan of Paris. Yes, it is one pretty city but I find the place way too stressful to ever really enjoy my surroundings. 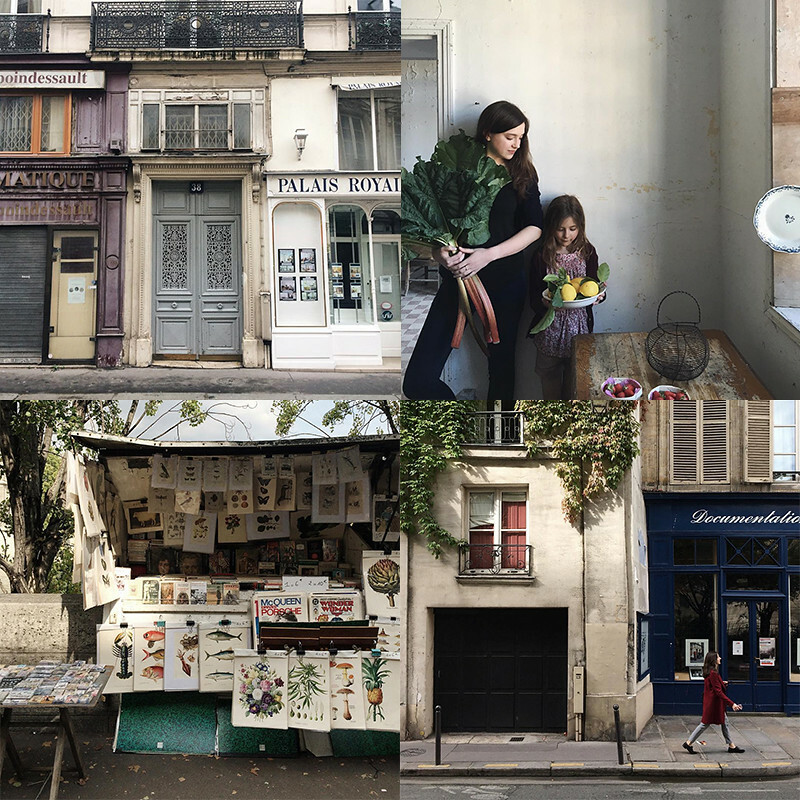 I think Dagmara is slowly making me realise that there might be a more peaceful, green and charming side to Paris that I managed to miss during my previous visits. Marco is probably the instagrammer I have been the most loyal to. Even after seeing Venice with my own eyes a couple of years ago, I still go back to his feed with the same anticipation I felt when planning my trip to La Serenissima. 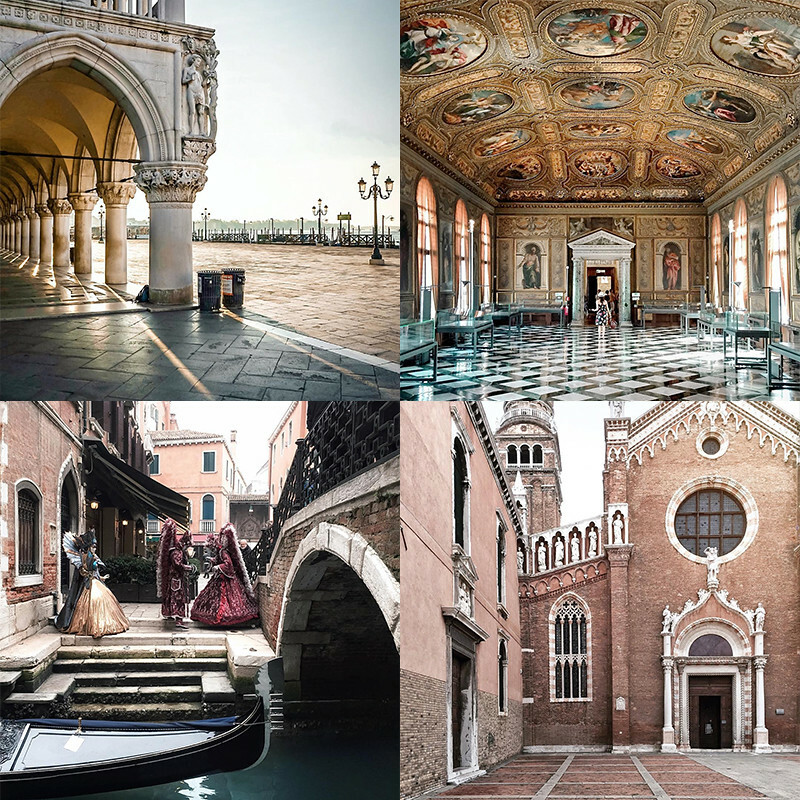 Venice is small but she has many faces and moods which Marco captures in the most sublime way. 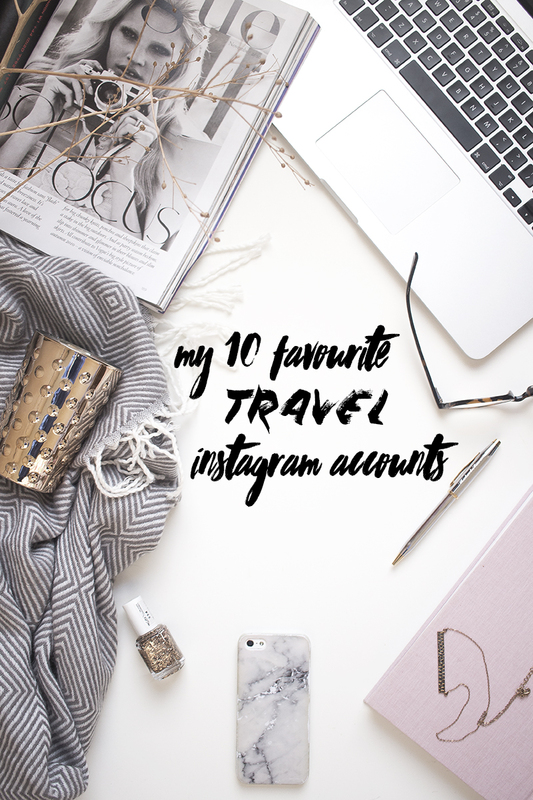 And there you have it my 10 favourite travel Instagrammers. Now it is your turn, who tickles your wanderlust on Instagram? You can follow me @theartofexploring on Instagram.